2018 Volunteer Opportunities Announced for Berkshires Region! 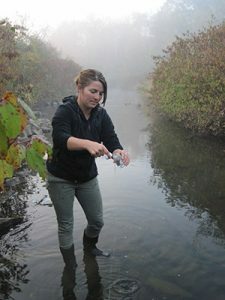 Volunteers are needed this spring and summer to help complete stream assessments on the Williams and Konkapot Rivers. Volunteers will be assigned to a 1 –2 mile segment of the river to walk or paddle and record observations. The training session is strongly encouraged for all new volunteers. Please call 413-298-7024 to register! Teams of volunteers will walk selected streams to locate outfall pipes and record information such as pipe material, condition, vegetation in the area and whether the pipe is flowing or not. Surveys will be conducted in dry weather, if at all possible. Training and equipment provided, although use of a personal smartphone may be necessary. HVA needs volunteers to help collect water samples to test for bacteria levels in the Southwest Branch, Pittsfield and Wahconah Falls Brook. Samples are collected following a 72 hour dry weather period, therefore exact dates each month are still to be determined. Volunteers will need transportation to their water sampling site(s) and must be physically able to collect the sample(s). Training and equipment provided. Training date to be scheduled mid-April. Help remove invasive garlic mustard and other plant invasives. Last year, an extensive invasive plant removal project occurred and we are monitoring and removing any regrowth. We’ll also need volunteers to complete a variety of spring cleanup tasks including: rake / blow leaves off the trail, replace markers, trim vegetation; pickup trash from trailhead and road crossing. Crews will be dispersed up and down the West Branch and Southwest Branches the Housatonic River in Pittsfield as we continue to clean these tributaries of accumulated trash. Gloves and trash bags, lunch and snacks are provided. Bring a water bottle, sunscreen, and wear old clothes (preferably long pants). We have some hip waders and chest waders available to borrow, or wear a pair of old sneakers. Some sections may need boat crews. Meet people and share your love of rivers and protecting them! Volunteers are needed to help staff our table and answer questions at multiple community events. 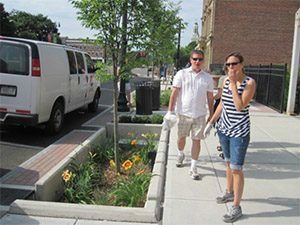 HVA assists the City of Pittsfield with the maintenance of the 10 rain gardens on North Street. Become a “Rain Garden Angel” and take care of one of the 10 gardens on North Street. We’ll provide all equipment. It’s a weekly event. Paddle Trip Assistance for any of our paddle trips is always helpful! Help load and unload boats, paddles and PFDs, register participants, and various dates – Call for more information!